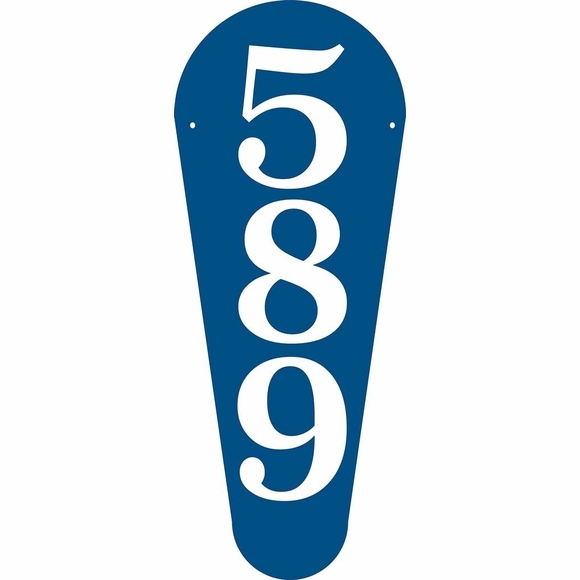 Vertical House Number Sign - - custom address plaque is free standing with the optional lawn stake or can be wall mounted. Holds up to three extra large 5" or two giant 6" numbers or letters. Made in USA. Made from sturdy non rusting UV-stabilized laminated acrylic with engraved numbers. Dimensions: 8"W x 20"H x 1/8". Holds up to three (3) 5" characters or two (2) 6" characters. Now available with an optional 24" lawn stake.